Marble has been effectively used as a building material since the early civilization. The construction sector needs to effectively utilize wastes that cause serious environmental problems around the world. Structure of cementitious composites can be classified into micro, meso, and macro levels. For cementitious matrix subjected to high temperature, with the increase in temperature, physical and mechanical properties tend to decrease at macro-level, internal structures deteriorate, and micro-defects develop at micro and meso-levels. Studying the physical and mechanical properties of cementitious matrix at elevated temperature helps us understand the mechanisms of such deterioration or reduction in both physical and mechanical properties. At elevated temperature, the compressive strength loss of hardened cement paste composites comprising 80% of marble dust was 81% at the end of 28-day curing period, and the reduction increased to 84% for the hardened cement paste composites comprising 60% of marble dust. Its seems that 300 0C was optimum temperature for hardened marble cement paste composites in that physical and mechanical properties above this level were adversely affected. Pietrosemoli L. and Monroy C.R., “The impact of sustainable construction and knowledge management on sustainability goals: A review of the Venezuelan renewable energy sector”, Renewable and Sustainable Energy Reviews, 27: 683-691, (2013). Asdrubali F., D'Alessandro F. and Schiavoni S., “A review of unconventional sustainable building insulation materials”, Sustainable Materials and Technologies, 4: 1-17, (2015). Li Y., Zhang X., Ding Q. and Feng Z., “Developing a quantitative construction waste estimation model for building construction projects”, Resources, Conservation and Recycling, 106: 9-20, (2016). Becchio C., Corgnati S.P., Kindinis A. and Pagliolico S., “Improving environmental sustainability of concrete products: Investigation on MWC thermal and mechanical properties”, Energy and Buildings, 41(11): 1127-1134, (2009). Ferrari G., Miyamoto M. and Ferrari A., “New sustainable technology for recycling returned concrete”, Construction and Building Materials, 67: 353-359, (2014). Aydin E. and Arel H.Ş., “Characterization of high-volume fly-ash cement pastes or sustainable construction applications”, Construction and Building Materials, 157: 96-107, (2017). Aydin E., “Staple wire-reinforced high-volume fly-ash cement paste composites”, Construction and Building Materials, 153: 393-401, (2017). Aydin E., “Novel Coal Bottom Ash Waste Composites for Sustainable Construction”, Construction and Building Materials, 124: 582-588, (2016). Arel H.Ş. and Aydin E., "Use of Industrial and Agricultural Wastes in Construction Concrete", ACI Materials Journal, 115 ( 1): 55-64, (2018). Kore S.D. and Vyas A.K., “Impact of marble waste as coarse aggregate on properties of lean cement concrete”, Case Studies in Construction Materials, 4: 85-92, (2016). Binici H., Kaplan H. and Yilmaz S., “Influence of marble and lime stone dusts as additives on some mechanical properties of concrete”, Scientific Research and Essay, 2 (9): 372-379, (2007). Topçu İ.B., Bilir T. and Uygunoğlu T., “Effect of waste marble dust content as filler on properties of self-compacting concrete”, Construction and Building Materials, 23: 1947-1953, (2009). Gesoğlu M., Güneyisi E., Kocabağ M.E., Bayram V. and Mermerdaş K., “Fresh and hardened characteristics of self-compacting concretes made with combined use of marble powder, limestone filler and fly ash”, Construction and Building Materials, 37: 160-170, (2012). Benson C. H. and Bradshaw S., “User Guideline for Coal Bottom Ash and Boiler Slag in Green Infrastructure Construction”, Recycled Materials Resource Center, University of Wisconsin-Madison, Madison, WI 53706 USA, (2011). Kirgiz M.S., “Advancements in mechanical and physical properties for marble powder-cement composites strengthened by nanostructured graphite particles”, Mechanics of Materials, 92: 223-234, (2016). Alyamaç K.E. and Ince R., “A preliminary concrete mix design for SCC with marble powders”, Construction and Building Materials, 23: 1201-1210, (2009). Arel H.Ş., “Recyclability of waste marble in concrete production”, Journal of Cleaner Production, 131: 179-188, (2016). 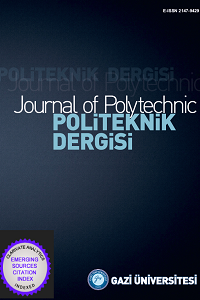 Keleştemur O., Arıcı E., Yıldız S. and Gökçer B., “Performance evaluation of cement mortars containing marble dust and glass fiber exposed to high temperature by using Taguchi method”, Construction and Building Materials, 60: 17-24, (2014). Ergün A., “Effects of the usage of diatomite and waste marble powder as partial replacement of cement on the mechanical properties of concrete”, Construction and Building Materials, 25: 806-812, (2011). Binici H., Shah T., Aksogan O. and Kaplan H., “Durability of concrete made with granite and marble as recycle aggregates”, Journal of Materials Processing Technology, 208: 299-308, (2008). Corinaldesi V. and Moriconi G., “Influence of mineral additions on the performance of 100% recycled aggregate concrete”, Construction and Building Materials, 23: 2869-2876, (2009). Patel H.H., Bland C.H. and Poole A.B., “The Microstructure of Concrete Cured at Elevated Temperatures,” Cement and Concrete Research, 25 (3): 485-490, (1999). Hewlett P.C., “Lea’s Chemistry of Cement and Concrete,” John Wiley and Sons Inc, New York, (1988). Chan Y.N., Luo X. and Sun W., “Compressive Strength and Pore Structure of High Performance Concrete after Exposure to High Temperature up to 800 0C,” Cement and Concrete Research, 30: 247-251, (2000). Mindess S. and Young J.F., “Concrete” Prentice and Hall Inc., (1981). Arel H.Ş., Aydin E. and Kore S.D., “Ageing management and life extension of concrete in nuclear power plants”, Powder Technology, 321: 390-408, (2017). Donatello S., Kuenzel C., Palomo A. and Jiménez F.A., “High temperature resistance of a very high volume fly ash cement paste”, Cement and Concrete Composites, 45: 234-242, (2014). Farage M.C.R., Sercombe J. and Galle C., “Rehydration and Microstructure of Cement Paste after Heating at Temperatures up to 300 0C,” Cement and Concrete Research, 33: 1047-1056, (2003). Yin S.N.C., Luo X. and Sun W., “Effect of High Temperature and Cooling Regimes on the Compressive Strength and Pore Properties of High Performance Concrete,” Construction and Building Materials, 14: 261-266, (2000). Alshamsi A.M., Alhosani K.I. and Yousri K.M., “Hydrophobic Materials, Super Plasticizer and Microsilica Effects on Setting of Cement Pastes at Various Temperatures,” Magazine of Concrete Research, 49 (179): 111-115, (1997). Xiandong C. and Kirkpatrick R.J., “Effects of the Temperature and Relative Humidity on the Structure of C-S-H Gel,” Cement and Concrete Research, 25 (6): 1237-1245, (1995). A.M. Neville, “Properties of Concrete”, Addison Wesley Longman Ltd, (1995). Maltais Y. and Marchand J., “Influence of Curing Temperature on Cement Hydration and Mechanical Strength Development of Fly Ash Mortars,” Cement and Concrete Research, 27 (7): 1009-1020, (1997). ASTM C150/C150M., “Standard Specification for Portland Cement”, (2015). ASTM C230/C230M., “Standard Specification for Flow Table for Use in Tests of Hydraulic Cement”, (2014). WK27311., “New Test Method for Measurement of Cement Paste Consistency Using a Mini-Slump Cone”, (2010). ASTM C127, “Standard Test Method for Relative Density (Specific Gravity) and Absorption of Coarse Aggregate”, (2015). ASTM C109M., “Standard Test Method for Compressive Strength of Hydraulic Cement Mortars (Using 2-in. or [50-mm] Cube Specimens)”, (2013). ASTM C348., “Standard Test Method for Flexural Strength of Hydraulic-Cement Mortars”, (2015). Mehta P.K. and Monteiro P.J.M., “Microstructure, Properties and Materials,” (2001). Bouzoubaa N. and Fournier B., “Optimization of Fly Ash Content in Concrete Part I: Non-Air-entrained Concrete made without Superplasticizer,” Cement and Concrete Research, 33: 1029-1037, (2003). ACI 230.1R, “State of the art report on Soil cement,” ACI Report Title No.87-M43, (1990). Brandt A.M., “Cement Based Composites: Materials, Mechanical Properties and Performance” E & FN SPON, print of Chapman & Hall, (1995). Yüksel İ., Bilir T. and Özkan Ö., “Durability of concrete incorporating non-ground blast furnace slag and bottom ash as fine aggregate”, Building and Environment, 42: 2651-2659, (2017). Maio A.D., Giaccio G. and Zerbino R., “Non-Destructive Tests for the Evaluation of Concrete Exposed to High Temperatures”, Concrete and Aggregates, 24 (2) 58-67, (2002). Lothenbach B., Scrivener K. and Hooton R.D., “Supplementary cementitious materials”, Cement and Concrete Research, 41: 217-229, (2011). Tokyay M., “Effects of Three Turkish Fly Ashes on the Heat of Hydration of PC-FA Pastes”, Cement and Concrete Research, 18: 957-960, (1988). Tokyay M., “Strength Prediction of Fly Ash Concretes by Accelerated Testing,” Cement and Concrete Research, 29: 1737-1741, (1999). Aruntaş H.Y., Gürü M., Dayı M. and Tekin İ., “Utilization of waste marble dust as an additive in cement production”, Materials and Design, 31 (8): 4039-4042, (2010). Beycioğlu A., Gültekin A., Aruntaş H.Y., Gencel O., Dobiszewska M. and Brostow W., “Mechanical properties of blended cements at elevated temperatures predicted using a fuzzy logic model”, Computers and Concrete, 20 (2): 247-255, (2017).